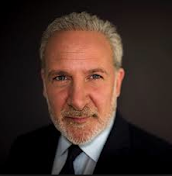 Peter Schiff On The Markets: Trade Deal: Will The Markets Sell The News? Since expectations of a great U.S. - China trade deal are so high, the market is poised to sell the news, particularly if the over-hyped deal does not live up to expectations. The best way for Trump to avoid disappointing markets is to delay an actual deal for as long as possible.